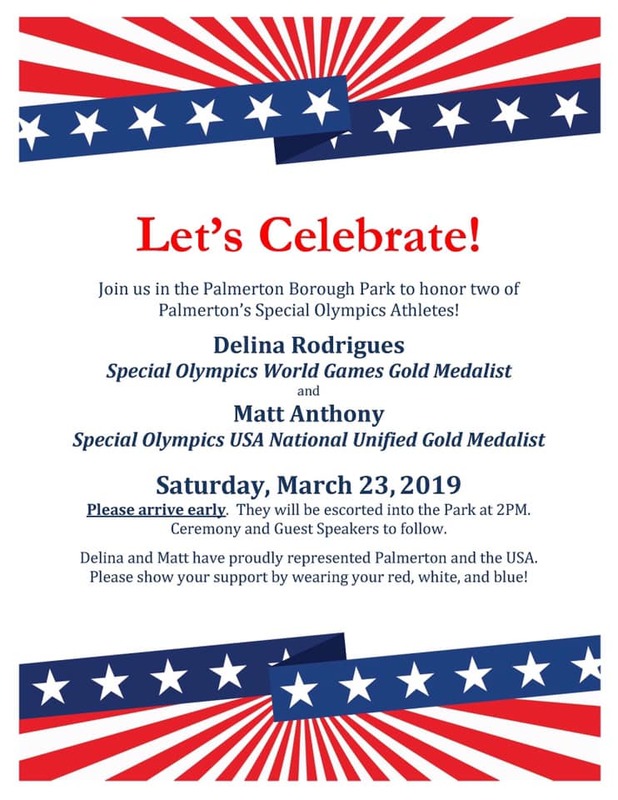 This Saturday there will be a celebration to honor two of Palmerton’s Special Olympic Athletes, Delina Rodrigues and Matt Anthony. 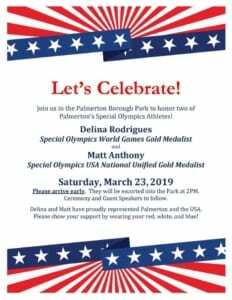 The celebration will take place in the Palmerton Borough Park at 2PM. Please plan to attend to honor their achievements. Click image for additional info.